What a funny word, antimacassar. The dictionary separates it into anti + Macassar. Macassar is an oil formerly used as a hair dressing. Antimacassar is a small cover on the back of a chair, sofa, etc. to prevent soiling. So, in effect, this textile is against spots made by hair oil. One would have thought a better name could have been created in the name of marketing, but apparently homemakers knew exactly what it meant and what was the function of the textile. So, to begin. Macassar oil was used by men in the last half of the 19thC as a hair “smoother”. Oils from exotic plants were extremely popular during the Victorian and Edwardian era and were used for cosmetics and home remedies of every description. The district of Macassar (also spelled Makassar) is found on the southwest coast of the Indonesian island of Sulawesi. The hair oil was made from the fruit of the bado nut tree and was exported in vast quantities. 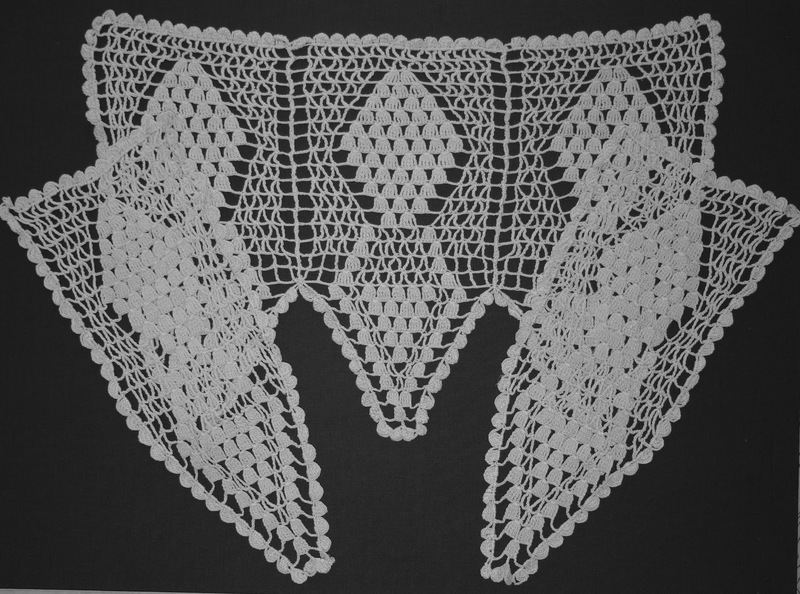 To protect their parlor furniture, women fashioned decorative “doileys”, usually using heavy cotton thread to crochet covers for the back of the head rest and often made matching covers for the chair or sofa arms. These continued to be made long after that particular hair pomade lost its allure, but was replaced by other hair products. Remember those Brylcreme commercials? 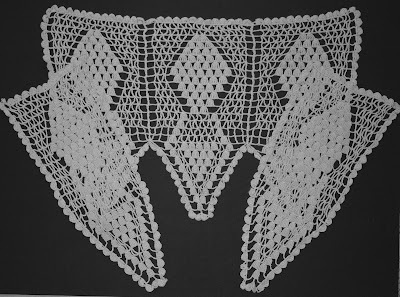 Patterns for antimacassars could be found in women’s needlework magazines, or obtained through mail order well into the 20th C. One of the most popular patterns was the pineapple, perhaps because the basic shape of the crocheted fruit lent itself to the contours of the furniture. These sets can still be found in thrift stores, vintage textile shops, and, of course, through the internet.